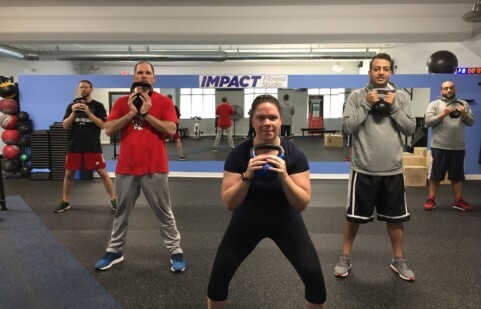 Impact Fitness Studio- Personal Training in Oak Creek where the inner athlete and competitive athlete aspire to be better. There are many benefits to a one-on-one personal training program: a true focus on the goals and outcomes of our clients, privacy, the assurance of efficient and safe exercise, and the execution of a program that is designed specifically for you. Start your transformation to day with Personal Training in Milwaukee, Personal Training in Franklin, and Personal Training in Oak Creek. BUT, THE MOST IMPORTANT BENEFIT OF ALL IS RESULTS. Like many things in life, if you put in time, discipline and hard work into your body, you will see results. Because our Fitness Consultants excel at personal program design and accountability, they can keep you progressing towards your goals. Working one-on-one in our private studios, they make small, incremental changes that keep you fresh, inspired and prevent you from hitting a plateau. The true difference between our services and those of the typical gym environment is rooted in accountability. 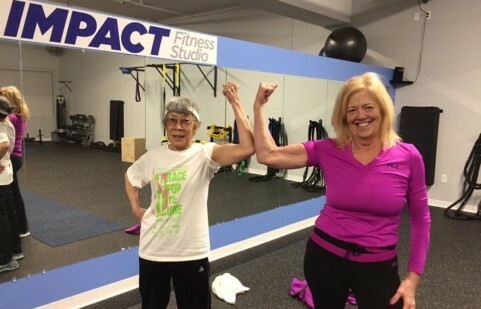 At Impact Fitness, we believe that an ongoing, dedicated relationship with a Fitness Consultant is key to achieving weight loss, strength, flexibility, and better health. ANYONE CAN PRESCRIBE A WORKOUT OR NUTRITION REGIMEN, FOLLOWING IT IS THE DIFFICULT PART. As your coach, mentor and biggest fan, our Fitness Consultants are there to provide accountability, helping ever advance your goals. Many trainers stand by your side during your session, but we believe in being hands-on – physically showing you proper technique, guiding your arms, legs and hands through the proper motions. If you are new to exercise, you’ll appreciate the education, and if you are already accustom to fitness, you’ll gain a new appreciation in the proper movements and techniques – and you’ll feel the difference! Personal training is helpful for any person. But personal program design is critical to your success. Any trainer can take you through a generic workout, but our Fitness Consultants craft a comprehensive personal program that is based on your fitness assessments and goals. Preplanning each session for 6 months, we’ll craft a minute-by-minute workout for you that will keep you progressing towards your goals. Impact Fitness private personal training clients are busy, and value their privacy. The typical gym or fitness studio environment means waiting for machines and feeling like people are watching you workout – or worse yet, in the locker room! At Impact Fitness, our personal approach goes a step further with our fully equipped, completely private training suites. There’s no waiting. No peer pressure or intimidation. It’s an environment that makes it easy to save time, enjoy your time here, and get the results you expect. To produce results, we set a goal of attending three-four sessions per week. Each personal training session changes through out the week to address specific fitness goals and muscle groups. Additionally, your workouts will change each month and adjusted based on ongoing fitness assessments and results measurement. This is key to keeping the body physiologically adapting to change helping you avoid the dreaded plateaus and keep you psychological motivated as well! Through the use of technology, we also help you plan and track your fitness regimen when you are in and out of your sessions. Exercise alone can only produce so many results. To help you reach your goals faster and more efficiently, included in your personal training program is our nutrition coaching. Featuring 6 helpful training modules, a grocery store food education tour, and a review of supplements, we help you achieve maximum health and fitness. Private personal training clients often use this program to challenge each other to perform at a higher level.